The Wood County Sheriff’s Department provides 24-hour patrol and complaint response coverage year round to all areas of Wood County and fields sworn Deputies continuously on a variety of shift arrangements. I was born and raised in Wisconsin Rapids and graduated high school at Lincoln High. I obtained my associate degree in Police Science from MSTC of Wisconsin Rapids in 1993. I began my involvement in law enforcement while attending MSTC and was put on as an auxiliary officer for WRPD and the Town of Rome PD. In 1991 I was hired as a reserve deputy for the Wood County Sheriff’s Department until 1994. In 1994, I was hired part-time as a police officer for the Town of Rome Police Department. I was hired full-time as a police officer for the Town of Rome in 1998-2005. I became an EVOC instructor in 2000. I then created a rescue dive team of 5 members and was the dive team leader. In 2005, I was hired at the Wood County Sheriff’s Department as a deputy. In the fall of 2005, I was added to the Wood County Sheriff’s Department SRT team as an entry member. I also became an FTO (field training officer), snowmobile patrol deputy, assistant shift commander, FTO coordinator, boat safety instructor and became the lead EVOC instructor. In 2011 I was promoted to Investigator Sergeant specializing in drug enforcement. I also became an evidence technician, K-9 coordinator, assistant team leader of SRT. In 2015, I was promoted to patrol lieutenant and SRT commander. Lieutenant Charlie Hoogesteger was hired in July of 2010 and was promoted to Lieutenant in March of 2015. Lt Hoogesteger attended the University of Wisconsin - Eau Claire where he earned his Bachelor of Arts in Criminal Justice. He was an active member of the Special Response Team. He held the positions of Negotiator, Lead Negotiator and Sniper. Lt Hoogesteger has also been an FTO and a member of the Seasonal Weight Team. Other duties include Emergency Vehicle Operation instructor and Preliminary Breath Test Calibrator. 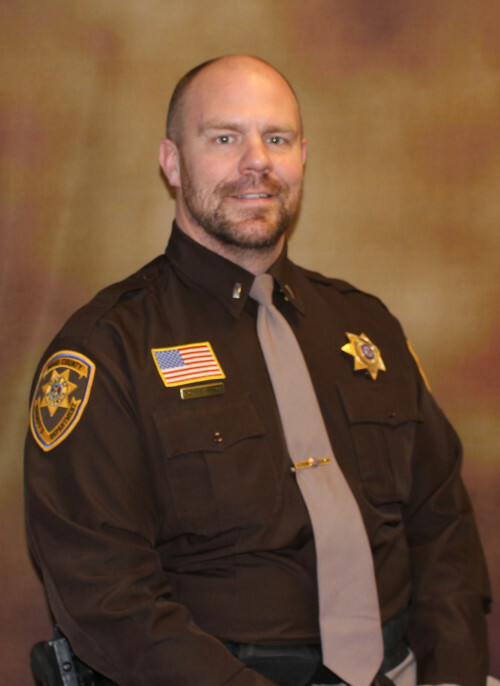 Lt Hoogesteger started his career in Law Enforcement with the Wood County Sheriff’s Department Reserve Program in 2006 before being hired in Adams County. He also was employed with the Nekoosa Police Department as a patrol officer and with the Port Edwards Police Department as a part time patrol officer. Lt Hoogesteger has over 9 years of Law Enforcement experience. He is also a 1999 graduate of Nekoosa High School. Lieutenant Bryan Peterson was hired as a deputy, by the Wood County Sheriff’s Department, in March of 2011. In March of 2015, he was promoted to Lieutenant. Lieutenant Peterson grew up in the city of Nekoosa and is a graduate of Nekoosa High School. After high school he attended Edgewood College, Madison Area Technical College and Mid-State Technical College. He has an Associate’s Degree in Police Science. Lieutenant Peterson started his law enforcement career as a jail deputy for the Adams County Sheriff’s Office in February 2004. In December 2004, he transferred to the road division as a patrol deputy. 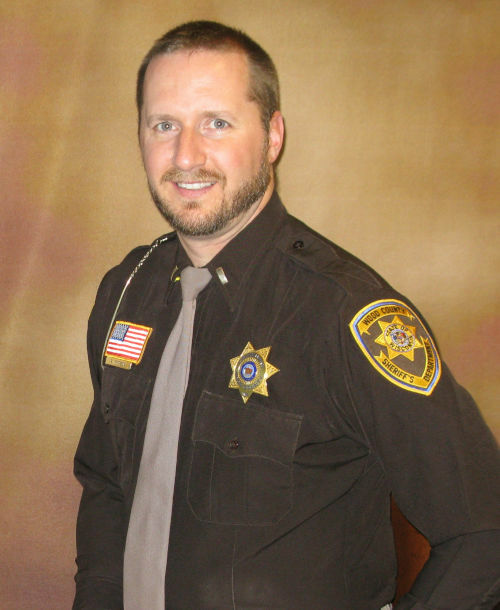 In May 2008 he left the Adams County Sheriff’s Office and started with the Rome Police Department where he became a Firearms instructor and a Concealed Weapon Carry Instructor. In March of 2011 he seized the opportunity to work for the Wood County Sheriff’s Department. Lieutenant Peterson is a Field Training Officer, Handgun Instructor, Concealed Weapon Carry Instructor and a Tactical Response Instructor here at the sheriff’s department. He has also been a part of the Wood County Special Response Team since 2013. As Lieutenant, he oversees the operation of his shift and is also responsible for the Reserve Program, Crime Stoppers Program, Honor Guard and is the Internship Coordinator. 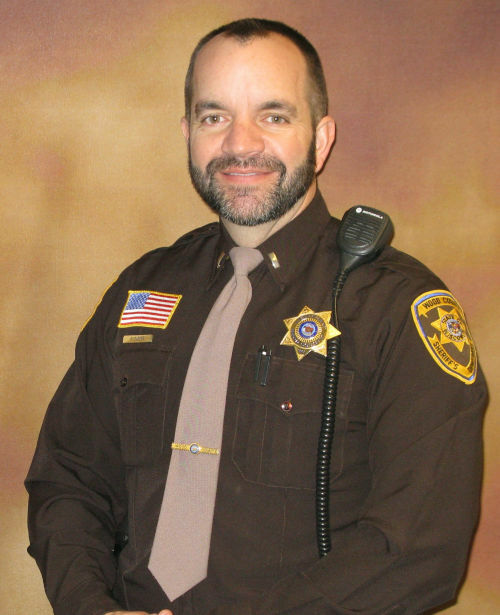 Lieutenant Joseph Zurfluh is a lifelong resident of Wood County and graduated from John Edwards High School in Port Edwards. Following high school, Zurfluh entered active duty with the U.S. Army Military Police Corps. During military service Zurfluh was deployed to Kosovo in 2001 and Iraq in support of Operation Iraqi Freedom in 2003. After completing military service Zurfluh was hired as a Reserve Deputy Sheriff with Wood County and as a Police Officer for the Pittsville Police Department. 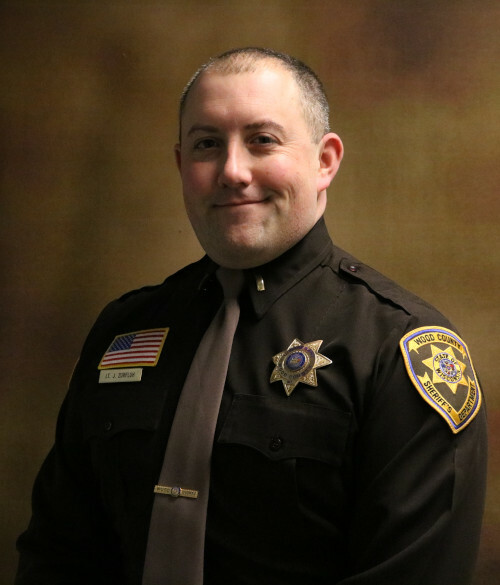 Zurfluh received an associate degree in criminal justice from Mid-State Technical College and in 2005 he was hired full-time as a Wood County Deputy Sheriff. Since being employed with the Wood County Sheriff’s Department Zurfluh has held positions as an Entry Member on the Special Response Team, Canine Handler, Field Training Officer, Boat Patrol Officer, Shift Commander and Evidence Technician. Zurfluh earned a Bachelor Degree in Criminal Justice from Lakeland College while working full-time. In 2015 Zurfluh was promoted to Investigator Sergeant, which was an assignment that operated out of the Marshfield office and was responsible for general investigations. In August 2016, Zurfluh was promoted to his current position of Lieutenant in the Patrol Division.